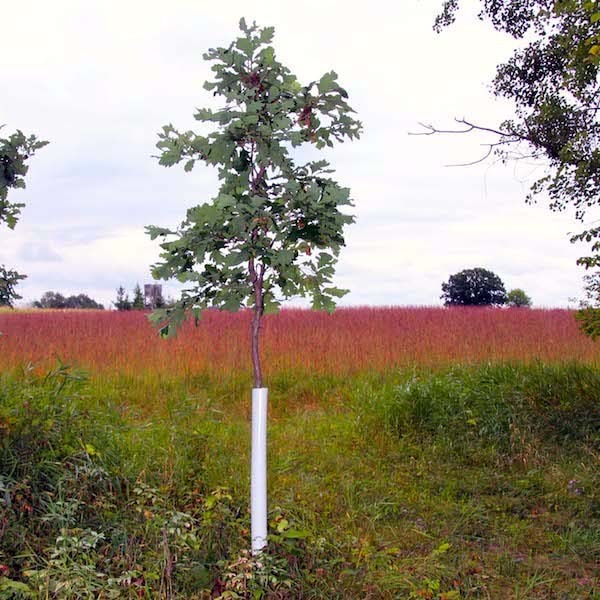 Plantra Solid Wall Tree Guards are white to reflect excess sunlight, opaque to reduce suckering, and twin-walled (corrugated) for strength. 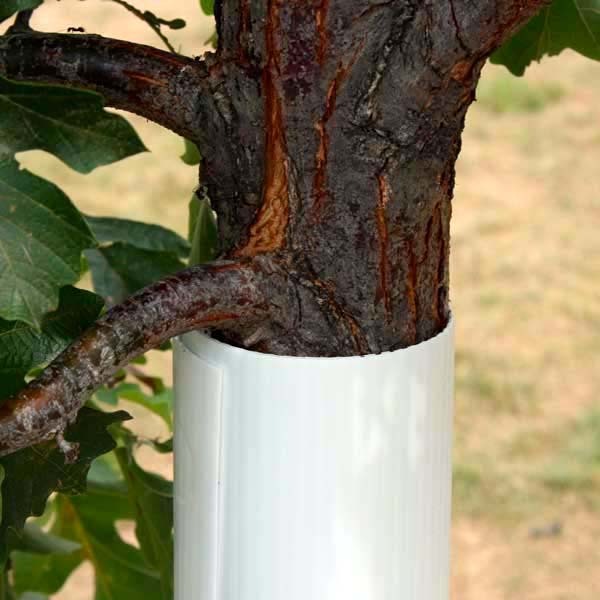 These tree guards are slit lengthwise and gently wrap around the trunk of sapling trees 1 to 3.5 inches in diameter. 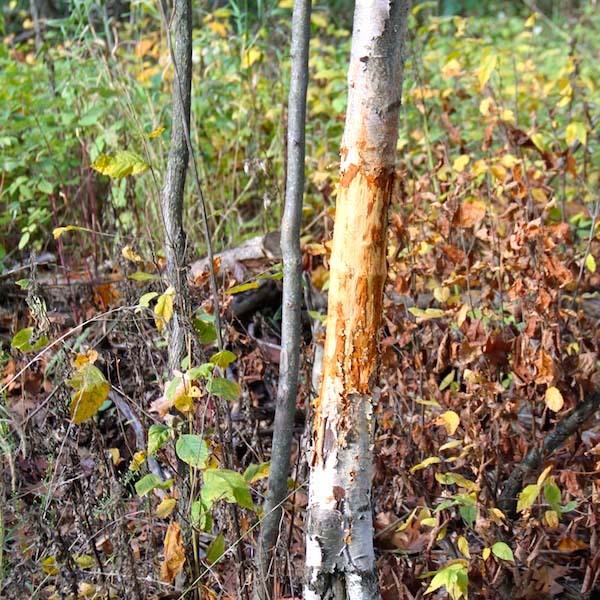 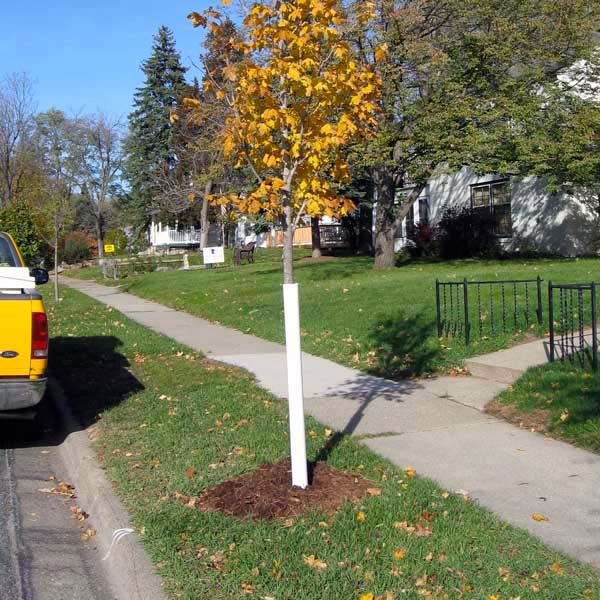 Once in place, the tree guard shields young bark tissue from the harmful effects of gnawing animals, mechanical weed control and weed sprays. 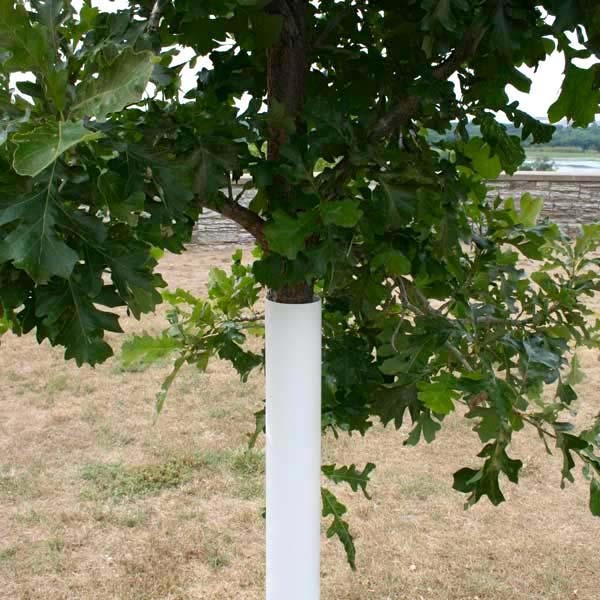 Unlike other stiff and sharp corrugated products that can scrape and damage young bark while being installed or removed, Plantra® Solid Wall Tree Guards pop open easily, gently wrap around the stem, and stay put all without the use of tools or additional tying equipment. 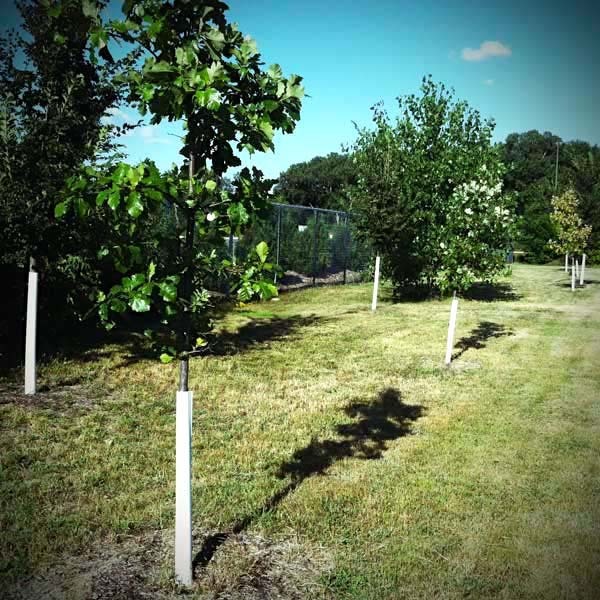 These tree guards are tough to protect, removable, reusable and are UV stabilized for multiple seasons of use. 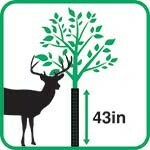 Tube diameter when fully expanded = 99mm / 3.9 in O.D.